Description NICE LOCAL TRADE IN, SUNROOF/MOONROOF, NON SMOKER VEHICLE, BACKUP CAMERA, LEATHER SEATS, BLUETOOTH/HANDS FREE, NAVIGATION, Incredible Selection!!! Hassle Free Sales Process!! !, State of the Art Service and Sales Facilities, Factory Certified Technicians!! !, INCREDIBLE Financing for ALL Buyers - New and Used Vehicles...New Credit...Credit Recovery..., Manly Automotive - Serving Santa Rosa since 1959!! !, FREE PICKUP AND DELIVERY FOR OUR SERVICE CUSTOMERS! !, WE WILL BUY YOUR VEHICLE(S)!! !, FREE SERVICE LOANERS!!! !, AWD. 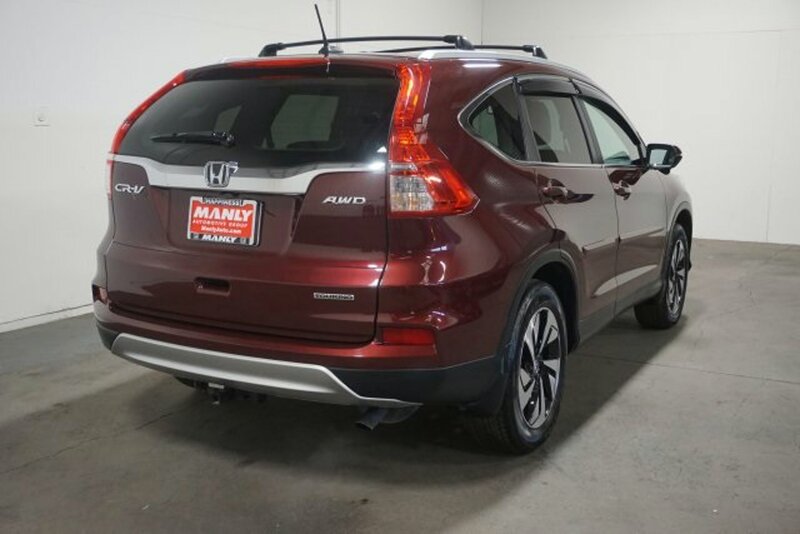 Manly Automotive is pumped up to offer this fantastic-looking 2016 Honda CR-V Touring in Basque Red Pearl II. Unmatched Service, Selection and Upfront Hassle-Free Pricing...Every Day...The Manly Way!! Odometer is 3645 miles below market average!